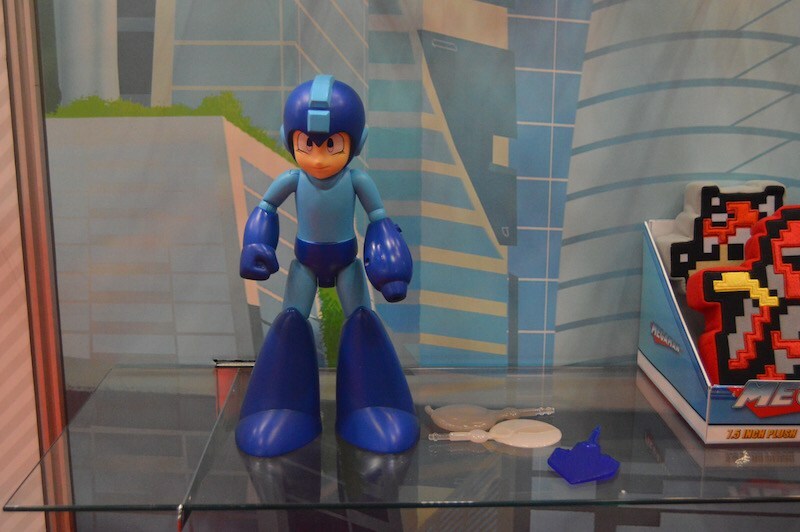 First up is a 10-inch Mega Man figure. It has lights, sounds and a Mega Buster that fires three different types of ammunition. No price or release date yet. 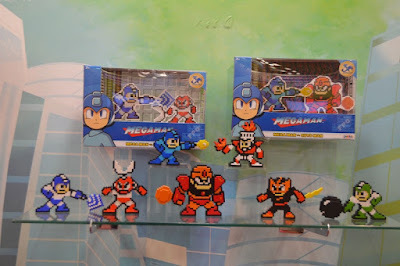 Next up, a line of 8-bit inspired figures. They have a limited range of articulation but just enough for posing! 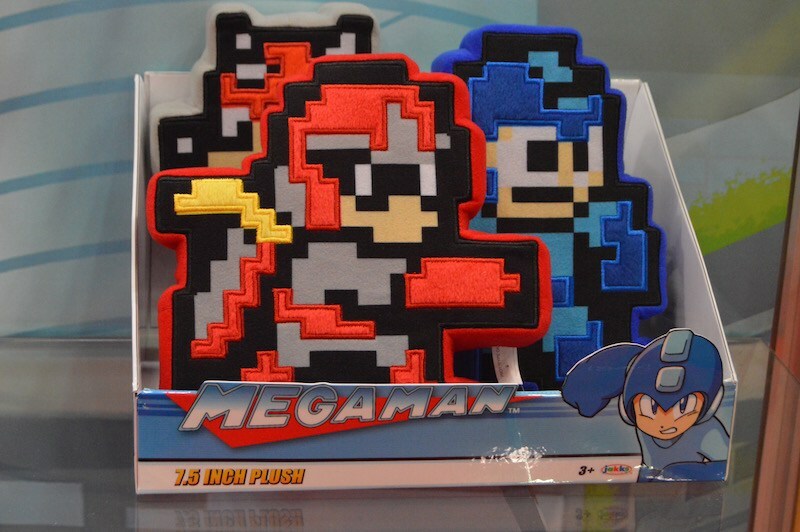 Finally, 8-bit plushies. Kinda cute. No word yet on price, release date or availability. For now you can check out some additional images, head over to Toy Hype USA! Additional image credit goes to Stitch Kingdom! If they're smart, they'll stick to using the Video Game designs. I know the show is to market to a new demographic but I can't the way Rock (oh, excuse me... Aki 😧) looks in it. Also putting out toys based on the game while they're at it is smart, but not sticking only to it. 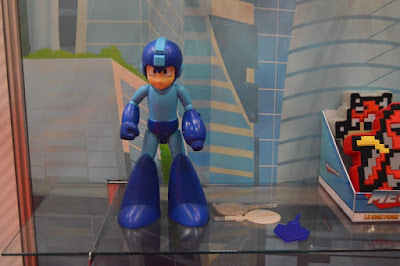 i am not fond of the cartoon's MegaMan design either, but this is'nt the point here. When the cartoon will start, they'll have kids wanting to buy toys of their cartoon, kids not familiar with the game MegaMan design, and the smart thing to do will be to give them the toys based on what they'll know because that's what they will be looking for. And puttin game designs toys as well is smart as it will interest peoples familiar to the video game, and maybe make a kid or two familiar with it. 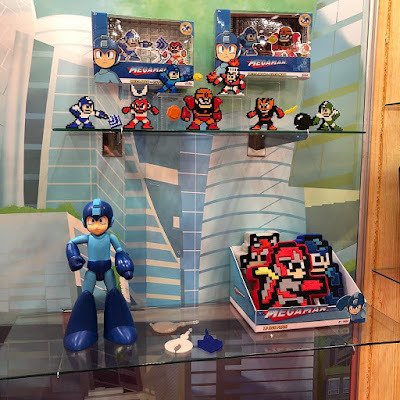 It's interesting that they didn't have any of the cartoon's toys on display. The city wallpaper behind the shelves is from its key art. Perhaps they do have stuff there, but just aren't allowing photos? maybe they cannot announce the cartoon's toys to early before the cartoon start. I'm kinda iffy about this, Jakks isn't exactly known for making high quality figures. Agreed, I keep hoping someone better will get the license. At least there's Japanese toys. The pixelated plush are good! Got the Link one from the NES line & it’s solid. I’ll be looking forward to these! Concerning Classic, I hope to see stuff for Snake Man! He was & still to this day one of my all time favorite robot masters! Would love to also see Splash Woman, Top Man, Napalm Man, Tengu Man, & Galaxy Man to name a few. Wish they didn't go with 8-bit and made figures based off the official character models. Hopefully there will be more to come!